Leroy (Leroy) created T62914: Ctrl + Z is very slowly in Object Mode. Leroy (Leroy) added a comment to T62174: Switch between Wireframe and Solid is slowly?. @Clément Foucault (fclem) My above statement may be wrong. I found it's only happened in the pie operate, if I used shift+Z to switch, it's will be quickly. Leroy (Leroy) created T62174: Switch between Wireframe and Solid is slowly?. Leroy (Leroy) added a comment to T55194: Shortcut Keys Changed in 2.8x. 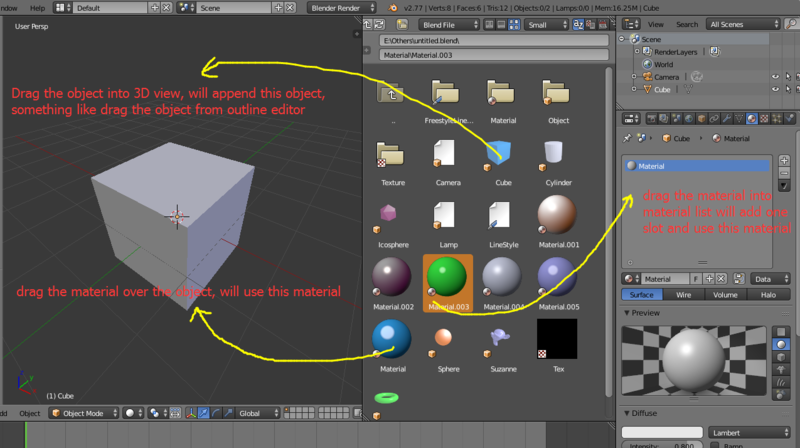 @Campbell Barton (campbellbarton) Hi, does the pop-up panel in the 3d viewport will have shortcuts, e.g. Collections Visibility, Object Types Visibility, Overlays and Shading, I think it necessary. @Campbell Barton (campbellbarton) Thanks for your reply. Does the Set origin(ctrl +alt +shift +c) and convert objects(alt +c ) will be back. it's apply modifier very quickly. @Campbell Barton (campbellbarton) In windows 10, the Chinese version, Ctrl + space is a global key to switch input. as far as I know, can't modify by user in direct. so I think Shift + Space is better for full screen editor. Ctrl +Home/End to setting start/end frame, this is too far from the left hand, I often use this. by the way, F6(redo last in 2.79) will back? I very need it. thanks. Leroy (Leroy) added a comment to T54744: UI: Expand List of Editors. really don't like this change, no more features, what's update in 2.8, more is split. split the 3d viewer, split the editor. this not means more features. combine is more useful, ex. less select from drop-down list. one editor do more things. 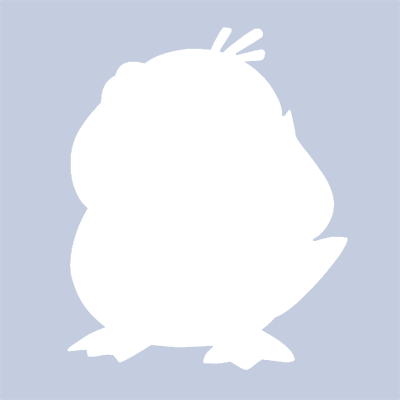 Leroy (Leroy) added a comment to T54471: Blender can't easy download in China. Leroy (Leroy) added a comment to T54387: 2.8: Code-Quest (Topics we plan to cover). Leroy (Leroy) added a comment to T54660: Toolbar Design. I recommend this can use “A” key to unfold the tools group, like the old behavior. hot key much quickly than hold LMB. Only one problem, why don't show hot keys in editor lists, lots editors have hot keys, but no body know it, even for lots old users. Please keep hot keys. Leroy (Leroy) added a comment to T21751: Import: Images mapped to planes. This addon give me big help, it's useful for multi-images to planes, Like a pile of poker, and it's provided a node group to adjust for all materials, just one question, any possible for replace current materials though this addon(like one material "A" have linked on many objects, I want every objects have different textures(images), through one button, replaced all materials( material A ) with different materials(image nodes + node group(for quick adjust for all) ), sorry, my bad English, hope you can understand, currently, cycles can't easy for multi-images materials, this addon give me hope. Leroy (Leroy) changed Type from Bug to To Do on T54471: Blender can't easy download in China. Leroy (Leroy) created T54471: Blender can't easy download in China. Leroy (Leroy) added a comment to T54206: bevel operator regression. @Brecht Van Lommel (brecht) , Sorry, my English not good, so show it in gif, you are right, in previous version, the option in F6 panel will be remembered, 2.79b can't remember the amount value, but others looks ok, like the cuts number. Leroy (Leroy) added a comment to T54411: Blender can't uninstall complated in windows system. Yeah, but in old version(.exe packed), it's have check box option that allow me to delete all config files through uninstall program. Leroy (Leroy) created T54411: Blender can't uninstall complated in windows system. I'm not sure I can reply in this area, I saw lots ui idea in 2.8, it's make me crazy, even hate and angry, the Blender from amazing magical to normal and ordinary, lots style from photoshop, max, maya and modo, put them together and called it 101, lost itself for new users, WHY not make more tools tip for first open in blender, as far as I now, in photoshop 2018, unreal and 3d coat, they all have good tools tip to lets users to see it clear, for example, switch editor have hotkeys in blender, but less people know that, even lots old users. Actually not myself don't like the new ui design, include my friends, lots are old users, they are uses autodesk at before, and now blender start like autodesk in ui design. for photoshop, it's really not good in ux, tools bar in left, layer and property in left, move mouse left to right, right to left, the tools setting topbar more inconvenient, so in new photoshop version, more and more move in property panel, I have used photoshop in five years, almost less in topbar setting, yeah must be move your eye look for from left to right, the option panel is much more better. I really like blender, because it provided the different idea and operation than others, clear and light, very efficient in work. but now, more like autodesk with obese and awkward. Leroy (Leroy) added a comment to T54332: Keep Alt Key not work in the F-Curve properties. @Joshua Leung (aligorith) , wow, big thanks for your tip, Ctrl+E is my need. Leroy (Leroy) created T54332: Keep Alt Key not work in the F-Curve properties. Leroy (Leroy) created T54304: Expression not work in materials. Leroy (Leroy) updated the task description for T54294: Problem in Duplicate for Alembic object. Leroy (Leroy) created T54294: Problem in Duplicate for Alembic object. Leroy (Leroy) added a comment to T54236: The button "Clear Custom Split Normals Data" not work for multiple object with alt key. Leroy (Leroy) created T54236: The button "Clear Custom Split Normals Data" not work for multiple object with alt key. Leroy (Leroy) created T54231: The marker menu has disappeared in 2.79a. Leroy (Leroy) added a comment to T54029: Preset name parsing issue in `Property Editor --> Camera Tab --> Safe Areas Panel --> Camera Presets List`. Leroy (Leroy) updated the task description for T53834: The Scene Scale not effects on physics simulation. Leroy (Leroy) created T53834: The Scene Scale not effects on physics simulation. Leroy (Leroy) added a comment to T50845: Top Bar Design. I really don't like the top bar design, , the F6 panel is much more useful and practicability, maybe it's good for the beginner, more obvious. Leroy (Leroy) updated the task description for T52280: The Image node in Compositing can't read Z buffer of openEXR in 2.79. Leroy (Leroy) created T52280: The Image node in Compositing can't read Z buffer of openEXR in 2.79. Leroy (Leroy) updated the task description for T50043: Modifying multiple parameters not right on Dimensions. Leroy (Leroy) added a comment to T50043: Modifying multiple parameters not right on Dimensions. Leroy (Leroy) created T50043: Modifying multiple parameters not right on Dimensions. Leroy (Leroy) added a comment to T45389: Can't display .blend thumbnail in the Windows explorer. Anyone have the same problem in windows 10? Leroy (Leroy) created T49411: Multiscatter GGX problem when the Roughness is zero. Leroy (Leroy) added a comment to T49336: The Outline Editor problem for the linked object. Leroy (Leroy) created T49336: The Outline Editor problem for the linked object. Leroy (Leroy) added a comment to T49244: Adaptive subdivision with external displacement map fail. Leroy (Leroy) added a comment to T49247: Adaptive Subdivision Problem. Leroy (Leroy) created T49247: Adaptive Subdivision Problem. Leroy (Leroy) created T49114: The curve problem in Alembic. Leroy (Leroy) created T49112: The Alembic don't support Chinese path. Leroy (Leroy) created T49111: Automatically add suffix in export alembic(.abc) and collada(.dae). Leroy (Leroy) added a comment to T49104: The normal problem in import Alembic . @Kévin Dietrich (kevindietrich) I have test it use the dynamic paint waves at before, have the same problem, and my friend tell me import maya is no problem, so I guess the problem is in import, and happened with the mesh deformation by the smooth normal, if you have fixed this, please ignore the above, this is the .blend file, very thanks! Leroy (Leroy) created T49104: The normal problem in import Alembic . Leroy (Leroy) added a comment to T42489: user preferences crash. Leroy (Leroy) added a comment to T49087: Alembic Realflow problem. Leroy (Leroy) added a comment to T48687: Rendering in the VSE will crash. Leroy (Leroy) created T48753: The Text in the VSE must be restart for the international fonts. Leroy (Leroy) created T48687: Rendering in the VSE will crash. @Martijn Berger (juicyfruit) Hi, does any body can write a .reg file, just open it, and have option to install blender(build association(-R)) and uninstall blender(clean registry), currently we can use the -R to association, but i don't know how to uninstall, so I have go to Registry to delete by manually, if possible the .reg file can included into the Zip version, just run the .reg file to association. sorry for my bad english. Leroy (Leroy) created T48552: the new driver operation(Ctrl+D) is disabled in the N panel on the day build version. Leroy (Leroy) added a comment to rBd49985ce488f: UI: Show categories in operator search popup. Leroy (Leroy) added a comment to rB0512e20ae993: Driver Setup Workflow Improvement: Property Eyedropper. Hi, I am very like this function, and I'm very hope can add some setting for this, because the property as same as the target not often to used, and usually we should change that by manual in the graph editor, So I make one draft in flow image, and in this idea, we can changer map ranger through the option panel, or press F6 to change this quickly, very hope can add this, and it's make driver much more easier and faster. Leroy (Leroy) added a comment to T48387: Mirror vertex group can't work normally in the edit mode. Leroy (Leroy) created T48387: Mirror vertex group can't work normally in the edit mode. Leroy (Leroy) created T48310: Move Mask will be crash if no image loaded. Leroy (Leroy) added a comment to T48202: Texture paint in the 3d View will crash, if you not check "Clamp Overlap" in the Bevel modifier. @Campbell Barton (campbellbarton) not actually crashing, no exiting or error tip, just stop responding, perhaps because my computer too low, the CPU will become very high, and than stop responding, but if I check "Clamp overlap", it's will be work fine. never happen that. Leroy (Leroy) created T48255: "Only Render" not work enough for the parent duplication. Leroy (Leroy) created T48220: Node Wrangler report error when I switch node. Leroy (Leroy) added a comment to T48217: Texture Paint Crashing PC. @Campbell Barton (campbellbarton) not ever, more happen on the edge area that bevel edge, check "Clamp overlap" will fine. Leroy (Leroy) created T48202: Texture paint in the 3d View will crash, if you not check "Clamp Overlap" in the Bevel modifier. Leroy (Leroy) created T48177: No "Active Spline" option in curve properties panel. Leroy (Leroy) created T48176: open .blend file will be crash with blender 2.77a. Leroy (Leroy) added a comment to T48073: The Blender File Browser view data blocks in .blend file. Leroy (Leroy) created T48073: The Blender File Browser view data blocks in .blend file. Leroy (Leroy) created T48050: No antialiasing in Direct/Indirect passes. Leroy (Leroy) created T47593: 'Move to layer' will be crash in blender 2.77rc1. Leroy (Leroy) added a comment to T46734: Past text in the text object limited to about 300 by one time . Leroy (Leroy) created T46734: Past text in the text object limited to about 300 by one time . Leroy (Leroy) created T46450: the "Seams from islands" in UVs menu can't mark up edges as cyan color when select "Mark sharp" option at fist time. Leroy (Leroy) added a comment to T46299: File Browser Crash while listing big folders in preview mode (fonts, images...)..
Test many and many times, the image preview like font preview, also crashed, and I have test under Multi-level, still happened. it not very frequent, and even let me believe that will not collapse, but it still happened by sometimes. hope more people try that, sorry for my bad English. Leroy (Leroy) added a comment to T46266: the user preference window will be black after re-open blend files . @perfection cat (sindra1961) I'm sorry , I don't understand programming, thanks your careful, I hope my feedback can help you. @Bastien Montagne (mont29) I have test many times, it's looks the crash only happened in normal model, and never with -t 1. the system is windows 7 sp1 64bit, e5300 2.6ghz 2g ram. because it's not aways, just crash by sometimes, so the results only as a reference, hope can help you, thanks. 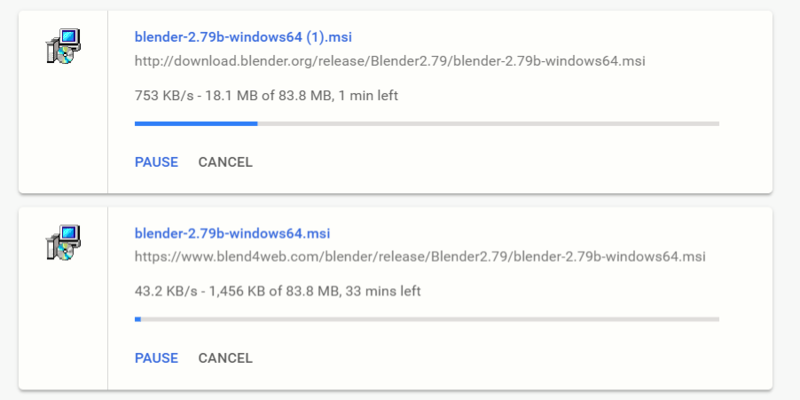 I have closed others windows( disabled all blender running), than open it. I don't know blender how to work in many Windows, something like duplicate Windows(CTRL+Alt+W), if have many Windows, will appear many Application in Task Manager,but the progress have only one. Leroy (Leroy) added a comment to T46258: Cycles plans for Blender 2.8x project. @Bastien Montagne (mont29) , I know your meaning, and try, the system is win7 sp1 64bit, blender is default, the driver is normal, and I have try the dll file, and even do it on my friend computer, the problem is still appear. Leroy (Leroy) updated subscribers of T46266: the user preference window will be black after re-open blend files . Ok, I am sorry , I have tryed again and again just a moment ago, and I am sure now, I lost one step on previous description. Leroy (Leroy) created T46266: the user preference window will be black after re-open blend files . Leroy (Leroy) created T46265: The <Simply Curves> addons not worke for animation F-curves. Leroy (Leroy) added a comment to T46213: Problem with removing old Blender version when installing. Leroy (Leroy) added a comment to T46188: the blender 3D View 2.76 is slower.